What Makes A Brand Story Authentic? 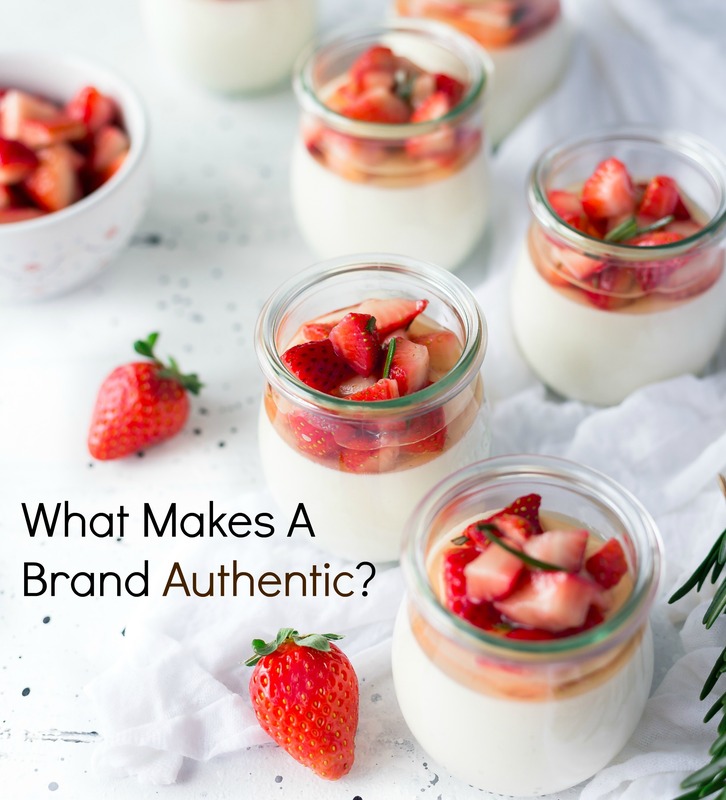 Any PR or marketing expert will tell you that for a brand to connect with customers, it should convey authenticity. But what about brands that don’t have a compelling story, or who have strayed from their roots due to their very success? Can authenticity be designed after the fact? It seems right up there with “planned spontaneity” – an oxymoron. But a recent New York Times feature points up the dilemma of established brands who struggle to appear “genuine” as younger, upstart companies move into their space. It’s about the Greek yogurt marketing wars and brand Yoplait’s efforts to craft an authentic story for its own Greek yogurt entry. As a division of General Mills and a category leader, Yoplait naturally wanted to take advantage of market changes to grab a healthy dollop of the category, but its Yoplait Greek product was a flop. No surprise there. Why would fans of the thicker, tart yogurt – with its better-for-you health halo – turn to a brand with no heritage in Greek yogurt if they can choose Chobani or Fage? The Yoplait brand team tried hard for an “authentic” Greek yogurt identity, but each time, the customer reaction was sour. It ultimately decided to abandon the Greek wars and out-authentic the upstarts by tapping its French provenance. And, voila! Its newest product was created in the tradition of the farm-fresh yogurt produced in the countryside of Brittany or Normandy, complete with the traditional glass-jar package and fruit on the bottom. It’s too early to tell if the new Yoplait variety will succeed, but I give the brand high marks for abandoning its Greek ambitions and changing course. It will never be an authentic Greek yogurt, so why not pivot to more credible attributes? And in a PR coup, why not use the struggle to serve up some raw, but real, coverage for the new product entry? The Yoplait trial-and-error story is typical of larger brands who sometimes try too hard to be what they’re not, either out of hubris, corporate pressure, or a misunderstanding of what authenticity really means. It’s like the joke among PR and ad agencies that every client wants a viral video. Big brands have the resources, the marketing talent and the distribution clout to leverage a market trend, but they often fail, in part because they’re not nimble enough to change quickly. But it’s also because they’re naturally risk-averse. Innovation may come from challenger brands because they have less to lose. But for any brand, authenticity isn’t as simple as acting like a challenger, or even creating an innovative product. Sometimes brands place their emphasis and invest their resources on promotion of the brand story at the expense of its creation. But if the narrative isn’t genuine, if it doesn’t promise an authentic experience to solve a problem or make life a little better, customers will shrug. There’s no magic formula to creating an authentic brand narrative, but there are steps that can guide the process. Revisit the brand’s roots. Kudos to Yoplait for digging more deeply into its history rather than simply flailing at the Greek yogurt opportunity. After all, no two brands have the same origin story. That may not be the ultimate narrative, but it can offer inspiration. Lego does this very well, tapping into the premise that there’s a “builder” in all of us and evoking the power of childlike imagination in its brand storytelling. Even Coke going back to original bottle was a simple but powerful return to its iconic beginning. Stake your claim carefully. I’ve never been convinced that all brand attributes must be ownable, because that’s not practical. But the key brand characteristics and its promise to customers must be credible. What can your brand legitimately claim? Innovation? GE has done a remarkable job of communicating its corporate innovation ethos, in part by glorifying the R&D workers who help make it possible, but it’s hardly the only brand to make that claim. Starbucks built its brand in part by providing a “third place” where customers can go to linger over their coffee. Then it backed up the promise by offering WiFi, streaming music, and other innovations to its brand experience. Red Bull is about masculine energy, pushing limits, and living boldly. It’s not alone, but it executes the promise flawlessly and credibly through its marketing and PR programs. Use the power of myth. This is almost a default for entrepreneurial brands, who like to craft a David and Goliath myth starring the company founder. Yet myths and archetypes work for established brands, too. One way is to make an employee or division the hero of a variation on the holy grail search. Some brands let customers tell their own stories. Outdoor wear brand Patagonia uses the power of myth and the persuasion of visual media in its “Stories We Wear” series about experiences from its own customers. Another example is Airbnb, whose proactive PR and marketing focuses almost completely on its hosts. They are the brand, literally. Claiming to be authentic isn’t enough, and a narrative that’s not credible won’t work in the long run. But nearly any brand can dig deep and craft a story that fits its origins and promise, and that grabs customer attention because it’s not only relevant, but real.